Be a King 2 is rated 3.7 out of 5 by 9. 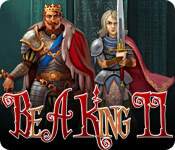 Rated 5 out of 5 by ChileTillie from Loved this - relaxing yet still challenging I love these Be a King games. They're somewhere in between the time management games and adventure games. I'm usually not a fan of build a lot games etc., but this one is awesome. It allows me to relax and yet still have fun. I get excited when I play! It's a game in between the "My Kingdom for the Princess"-kind and "Build a lot" or such. Awe-some! 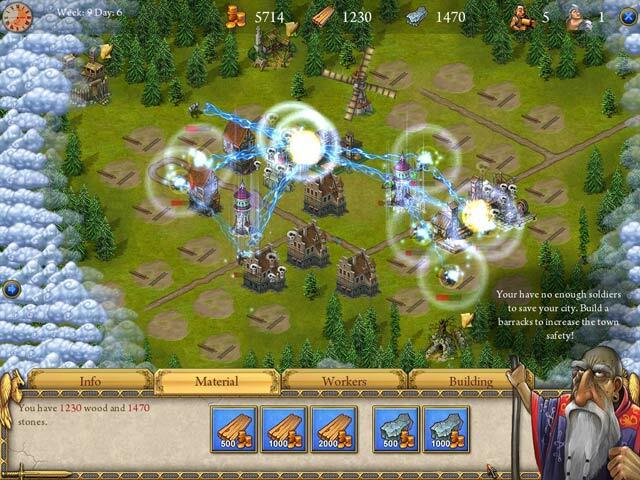 Rated 5 out of 5 by a_bella from Outstanding strategy game. Fun & addictive! I absolutely love this game. I have had it for a long time now & find every few months I play it from scratch again. The reason I keep returning to it is it's unique, addictive and a genuine strategy game rather than straight TM. There is no other game in my vast repertoire that I keep returning to. What is unique & what I love is that it's not about filling holes in roads & chopping trees like lots of others. Instead you are truly building a city from scratch; fortifying outskirts, establishing supplies, attracting citizens, fighting invaders. Because of this it is so much more creative than mending holes in roads. You will find where you place certain buildings impacts on how successful your village is or even whether it is successful at all. You really do have to experiment with different buildings and tasks to see which works better. I love that. eg. inheriting certain buildings can be great on one level and a burden on another. I found it hilarious that I couldn't get expert level on one early level, even when I reached the end with expert on every level after. This was brilliant fun returning again and again to that level to try and nut out the best strategy. I got there ... eventually! I'd have loved some reward for gaining expert on all levels like unlocking extras or replaying in extra hard mode, building a better castle or something, but that is really just being greedy. It was exceptionally long gameplay as it was. I simply just didn't want it to end. Unlike Dash et al, Be a King II is vastly different to Be a King (first one). The creators took the basic concept, added, tweaked and turned it into something different & fantastic for the 2nd. This really is a very creative game and an absolute must have. It is the best of all three in the series (sadly, the third is good, but not as good as this). 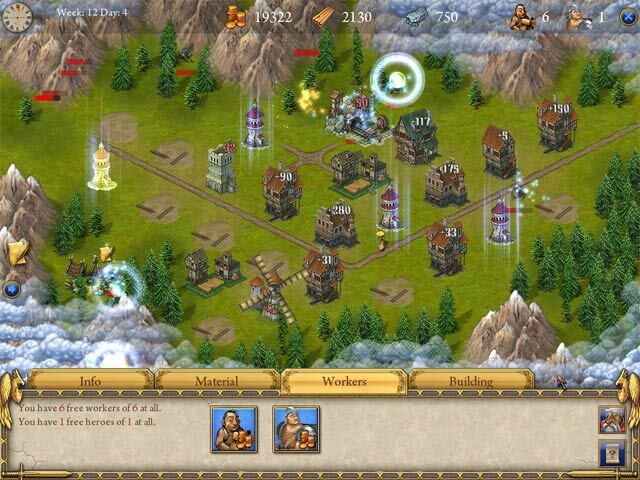 Rated 5 out of 5 by Ruffyl from Excellent medieval strategy fantasy game I love this game! It's a mix of genres that I find irresistable - strategy, medieval fantasy and city-building. It also has excellent graphics. I found it really interesting, absorbing and highly enjoyable, and in the later stages, it gets even better, because it becomes unusually challenging for a casual game. However, I think there is some room for improvement, because the early game is a bit too easy, the hint system is a bit too "helpful", and all of the trophies relate to beating the clock, which is not my favourite approach to playing a strategy game. And also, I think the game finishes rather too quickly. I finished it in a few hours. There is plenty of scope for replayability, but that's mainly because you'll want to improve your set of trophies by finding quicker solutions. It would be fun if instead, you could replay the same levels with different goals. The largest areas for potential improvement are really just game expansions, because this game offers such a strong enough foundation that I want a lot more of it! More levels, more quests, more trophies, and the opportunity to play the game in an alternative persistent mode, so that I could explore the city building side of things a lot more. I think this is a really distinctive and original game, which does its developer great credit. I wish there were more casual strategy games which are as well crafted and as charming as this one. 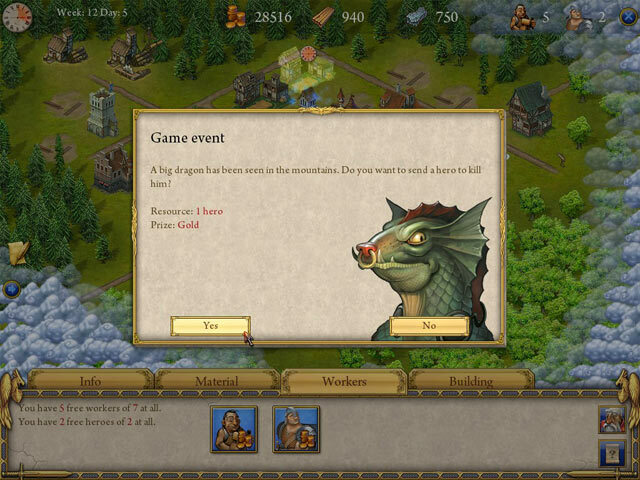 Rated 4 out of 5 by smoovasbutter from Decent I like Westward Kingdoms better but this is a pretty good medieval time management strategy game and easy to get the hang of. Rated 4 out of 5 by diseased from Fun to play - graphics were poor I found this game fun and quite compulsive. However the monsters weren't always visible; this was not too much of a problem as you knew they were there by their red bar. Rated 3 out of 5 by Night_Player_zz from Not overly challenging - which is fine with me A fun game, but not overly challenging. Several disappointments: - The fog covers a lot of the area so you have to build in a narrow area and expand outward as the fog dissipates. I'd rather be able to place my farms and mills around the edges instead of what ends up being the center of the town. I like to play with where things go so I do destroy buildings and rebuild. In fact to reach some of the objectives you have to knock down and build something else as you gain more resources. - The game ends as soon as you reach the goal, which you don't always know you've done even by watching the statistics - for example you have to have a certain gross product value that fluctuates, but once you reach it that board is done. I'd rather be able to continue playing beyond that so I can knock down and build and shuffle things around - but you can't do so. - A few of the boards are annoying, as you are given nothing to work with and have to wait until you can send your hero in to some environment to earn some resources so you can start doing things. Annoying! But overall I find it fun, though not challenging. Rated 2 out of 5 by funkristin36 from Typical There was nothing new, fun or challenging about this game. Very typical of 100 just like it. Not work the money, in my opinion. Rated 1 out of 5 by poetforhim from Too Frustrating This is my first review of a game. I played Be a King 1 and after playing the demo for this one, I bought it. Well, I am sorry I did because it really is frustrating! Too many trolls and whatnot coming at you in the later stages.....ugg! It is ok to have the battles, etc, but when it gets too frustrating where you feel like throwing the computer, it stops being fun.